1. Enter your address, county, city, or FEMA community panel number. 2. Press your location of interest. 3. 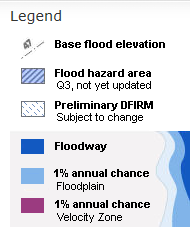 Press "Print map" or "Download DFIRM" (Digital Flood Insurance Rate Map).